The totally awesome Play Store review process strikes again. 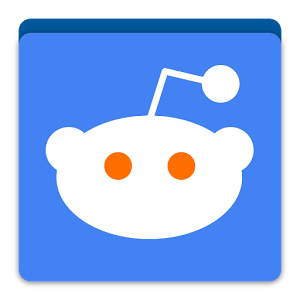 The developer of popular (and /r/AndroidCircleJerk approved) app Reddit Sync has gotten the dreaded automated support email indicating the app is on track to be pulled. The reason? Impersonating or leveraging another product or service. No, you're not having déjà vu—this has, in fact, happened before. 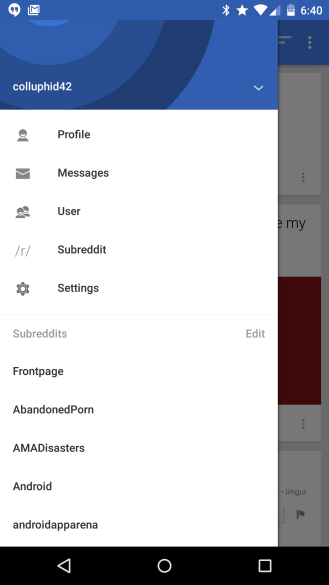 It was two years ago that Google took down Reddit Sync because it was not sufficiently clear that Reddit Sync was an unofficial Reddit app (not like there's an official one anyway). However, that removal was overturned on appeal when a real person looked at the app's description and saw that the developer had included a disclaimer. The app came back and all was right with the world... and now here we are again. Here's the full text of the violation received by the dev. Your title and/or description attempts to impersonate or leverage another popular product without permission. Please remove all such references. Do not use irrelevant, misleading, or excessive keywords in apps descriptions, titles, or metadata. 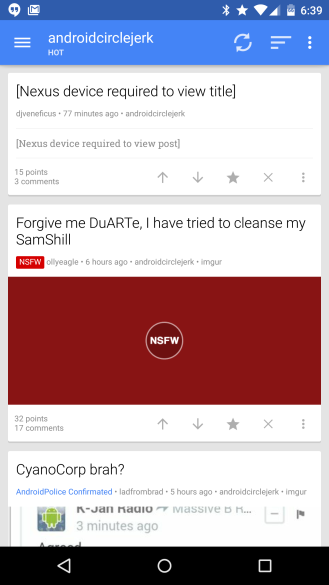 This is probably happening because the app is called Reddit Sync instead of Sync for Reddit or something similarly moronic. Of course, Google had no problem with the name when it restored the app two years ago. The developer has seven days to make changes to the app that bring it in-line with the rules. Failing to do so will result in Reddit Sync's removal. Hopefully someone from Google can step in and apply a smidgen of common sense here. If not, I just don't know how ACJ will pay homage to Lord Duarte.